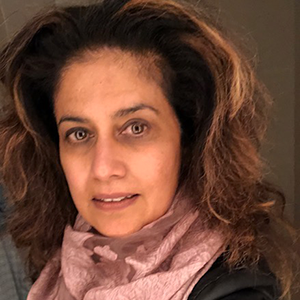 Dr. Minnie Sarwal is co-founder and Chief Medical Officer for KIT Bio, a start-up focused on developing a urine-based testing platform to support kidney disease management. She is a renowned nephrologist who has led a federally-funded research lab at UCSF since 1997, where she is also Professor of Surgery and leader of the Precision Medicine Program in solid organ transplantation and kidney disease. She has over 30 years of clinical experience and 25 years of research experience in translational immunogenetics, genomics, proteomics and informatics. She serves on the FDA Science Board and NIH research panels. She has been an Asian-American and Women’s Mentor at Stanford University. She was the founder and CEO of Organ-I, a Stanford University spinout which was sold to Immucor in 2014. She holds a PhD in Molecular Genetics from Cambridge University (Christ’s College) and is a Member and Fellow of the Royal College of Physicians, UK.